Pets as travel partners have been a hot topic lately. Travel + Leisure recently reported that air travel for pets and emotional support animals has doubled. That new metric got the airlines’ attention. Delta Airlines rolled out new pet tracking technology; United did a complete reset of its pet transportation policy; and a slew of airlines imposed tighter restrictions on service animals. Now comes a new report citing the 10 most pet friendly airports in the U.S. In a recent study by Upgraded Points, airports are showing a newfound respect for pets by going above and beyond the federal mandate. Some have gone so far as building out pet-relief stations and pet parks with real grass, faux fire hydrants, and ample space for pets to frolic. "Though required by law, many airports choose to offer services beyond what is necessary. They go out of their way to accommodate not just necessary service animals, but also beloved pets of all types," said Upgraded Points founder Alex Miller. Topping the list is New York City’s John F. Kennedy International Airport (JFK). JFK pulls out all stops for Fido and his friends, offering post-security pet relief areas in multiple terminals. One terminal even goes as far as a 4,000 square foot outdoor patio where pets and their owners can hang out. And, in JFK’s situation, the airport doesn’t stop at just offering dogs and cats some TLC. The airport also offers 24/7 animal care and veterinary services for every kind of animal -- from cats and dogs to livestock, birds, and exotic pets. In at #2 on the most pet-friendly airports is Atlanta’s Hartsfield-Jackson (ATL). ATL’s pet love mimics much of what JFK offers and adds in the twist of a 1,000-square-foot dog park located pre-security, adding to the traveler’s convenience. Rounding out the Top 10, in order, are: Phoenix Sky Harbor, Los Angeles’ LAX, Minneapolis-St. Paul International, Austin-Bergstrom International Airport, Reno-Tahoe International, Dallas Love Field, Denver International, and Dallas-Fort Worth’s DFW. Despite all the wonderful things airports and airlines are doing to make pet travel a better experience, they can only go so far. If you plan on travelling with your pet in the near future, ConsumerAffairs reminds you that there are still inherent risks to traveling with a pet -- predominantly heat and stress. 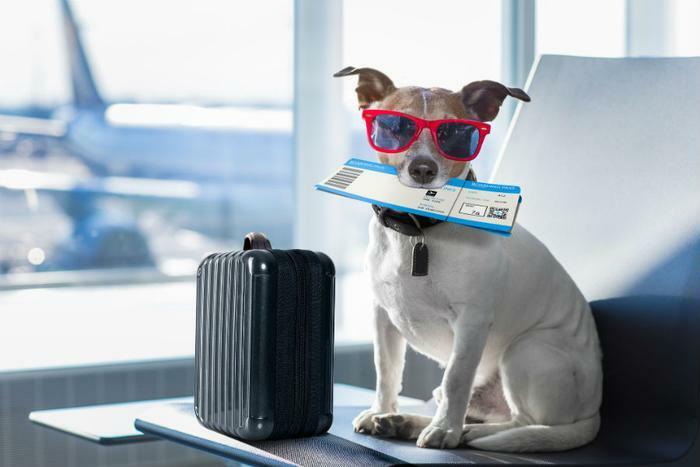 Always make sure to double-check with the Transportation Safety Administration (TSA) to see if it has made any changes to its travel-with-pets guidelines.